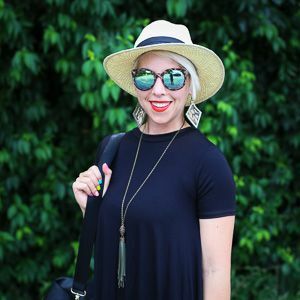 Today, our guest blogger is Amy! She's a farmer's wife and a cute dresser....which she proves the two aren't mutually exclusive. Make sure you check out her cute space over here. Take it away, Amy! Holla! Happy May Day y'all. I'm so happy to be guest posting on The Mrs. and the Momma today. And... nice to meet all of you lovelies! 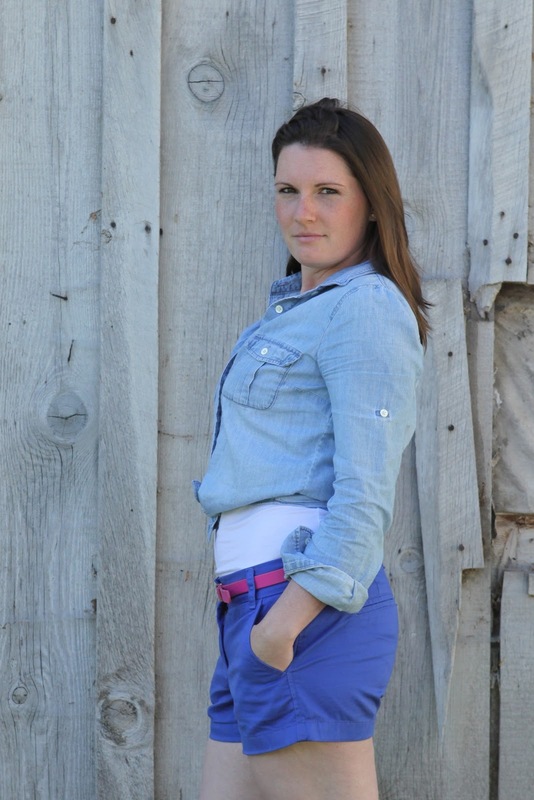 I am Amy, and I blog over here at The Farmer's Wife. I've got a super cute babe and a smokin' farmer hubby. I like to plan some rad parties, do some fab giveaways from time to time, share some fun farm stories, and so much more. Come over and check me out. More like my blog, not necessarily me... but whatever suits your fancy! Today, I'm sharing with you a hot little trend that I'm sure you're all aboard on... chambray and a tad of color blocking. Seriously, this belt, shirt, and scarf are my go-to's. They go with absolutely everything. EVERYTHING. Word. If you don't own a chambray shirt, get on it. You won't regret it. I promise. I've also been loving the colored denim this season. 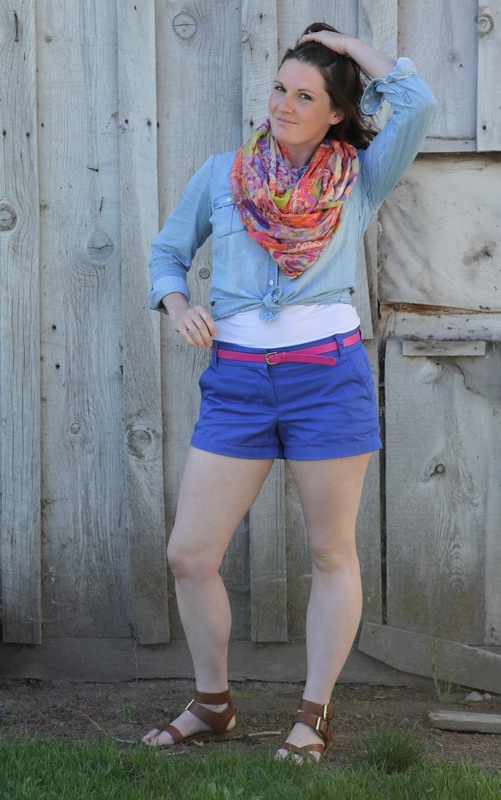 These shorts aren't denim, but still a fun pop of color. What do you think? My next venture is floral jeans! On a completely different note, I JUST discovered Bon Iver. Have you guys heard their music? Probably. Where have I been? I'm in love. Now go hang some flowers on your neighbor's door... it is May Day after all.